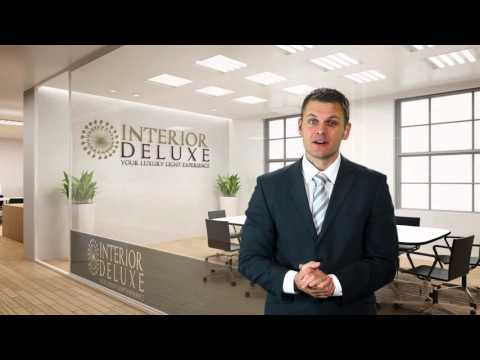 Learn more about Decorative by Watching a Video! What brands would you recommend for decorative lighting and for what locations would they be suitable ? While many may think of decorative and luxurious lighting as an additional layer, it is actually an important layer that can add more life into your rooms. At Interior Deluxe, you can find a huge collection of decorative and stylish lighting fixtures made by such highly renowned brands such as > FLOS, >Nimbus, >SLV Lighting, > LumenArt, >Northern Lighting and > Artemide. Our high quality decorative lights can add a touch of sophistication and charm to your office, home, restaurants, hotels, and other venues. Our indoor and outdoor lighting fixtures can help in enhancing style and elegance of the décor. What types of modern decorative lighting do you offer ? Can you show me some samples for each category ? Decorative recessed lighting inset directly inside the wall providing an ideal solution for those that want subtle illumination, or who want to maximize available space. Two most popular recessed lights that are also energy efficient include Aria Mini Recessed Wall Light from Artemide and Modul R 36 LED recessed light from Nimbus. These two LED recessed lightings not only look good in the room but also save on energy bills as well. Other examples of great recessed decorative lightings include the Faretti 6001/6002 recressed light from AVMazzega, Cut F Recessed Light from De Majo, Drop Recessed Light from Leucos, and Drop 9101 recessed light from Alma Light. No living space is complete without a Chandelier. These decorative lighting add beauty and elegance to a room. Whether it is a house, office, restaurant, or hotel, chandeliers can add glamour and charm to the room décor. Our most popular decorative chandeliers include Cellula LED Chandelier B from Anthologie Quartett, Fontana 48 LED Chandelier from Metalspot, The Light 5150 suspension lamp from Alma Light, and Raimond Zafu suspension from Moooi. These chandeliers are highly energy efficient as well that enhance look of the house without adding much to the energy bill. Modern display lightings enhance existing décor as well highlight your favorite objects d’ art. You can enhance the ambiance and attractiveness of the displayed work by using display lighting. The decorative lighting can mounted on ceilings walls, and floors. Some of the most popular display lighting include Vano CFL Outdoor Luminaire from SLV Lighting, Just A Little Spot Light from Oligo, and Neat Flex Clamp Spot Light from SLV Lighting. Track lighting adds a dramatic effect that you can customize to illuminate the living space or specific artwork. This type of lighting fixture creates a sleek and contemporary ambiance. It can be used both in residential and commercial settings. One of the most popular track lights is the Chill low voltage pendant lamp from LBL Lighting. The lighting fixture boasts of low voltage with multiple mounting options. It has a blown glass dome and feature nauge blown accents. It is available in satin nickel and bronze finishing. Another great track light is the Mango Coax Nuage low voltage from LBL Lighting. This one has an organic shaped transparent glass featuring frosted scavo finish and ice fractured texture. It is available in blue or clear color options and satin nickel and bronze finishing. Rachel low voltage pendant lamp from LBL Lighting is another great track lighting fixture. The elegant yet affordable decorative track light features high quality Murano glass that has organically shaped pattern and accents of silver leaf. The elegantly designed lighting fixture is available in multiple colors including mocha/latte, latte/opal, opal/amber, and with satin nickel and bronze finishing. You can also find an extensive range of outdoor lighting that serves different purposes. From outdoor wall sconces, pool lamps, patio lighting, floor lamps, to chandeliers, pendant lights and pool lamps, you can find them all at Interior Deluxe. For patio decorative lighting, you should consider Miami F3 Outdoor Floor Lamp from Anton Angeli. This popular lighting fixture is perfect for illuminating outside ambiance that gives the feeling as if you are indoors. It features a stone base that can be movable or stand still at the base. It offers a reassuring and comfortable lighting for green areas, terrace table, and porticos. Another good patio lighting is the Lite Box Outdoor Light from Carpyen. The decorative lighting fixture has been designed by Daifuku exclusively for Carpyen. It features light seats that are made from white polyethylene and are ideal for terrace and garden setting. If you fancy something more modern and futuristic looking outdoor lighting, then Kanpazar 150 outdoor floor lamp - Version C & D from B.Lux can serve as the perfect outdoor lighting. The outdoor lighting features unique design element that adds to the charm of the place. Designed by Jon Santacoloma, this branded outdoor light is UL listed and boasts of a smooth white frosted fishing. It is composed of UV resistant polyethylene that makes it perfect for use in outdoor settings. We also stock decorative Pendant Lights, Wall Sconces, Floor Lamps, Table Lamps, and Ceiling Lights. A good example of high quality pendant light is Small Glo Pendant Light from Penta. AWL 13.1 Wall Sconce from LumenArt is one of the most popular decorative wall sconces that we have in stock for you. In the decorative table lamp category, Miss Sissi table lamp from Flos is extremely popular due to its simple design and affordable price. Mini Glo-Ball Wall/Ceiling Light from Flos is a great example of a ceiling light that is popular among individuals who want to add a touch of elegance and charm to the living space. All of these decorative lighting create a wonderful ambiance greatly enhancing the look and appearance of the living space. If you want to save energy bills on decorative lights, you should consider our exclusive range of modern Energy Efficient Lighting. By switching to energy efficient decorative lights, you will save costs as well as turn an ordinary looking room into one that is worth appreciating. Still not sure which Decorative Lighting Fixture to buy? Call us today on +1-866-477-1345 and our ALA certified lighting experts will provide you with inspirations and guide you through the process!